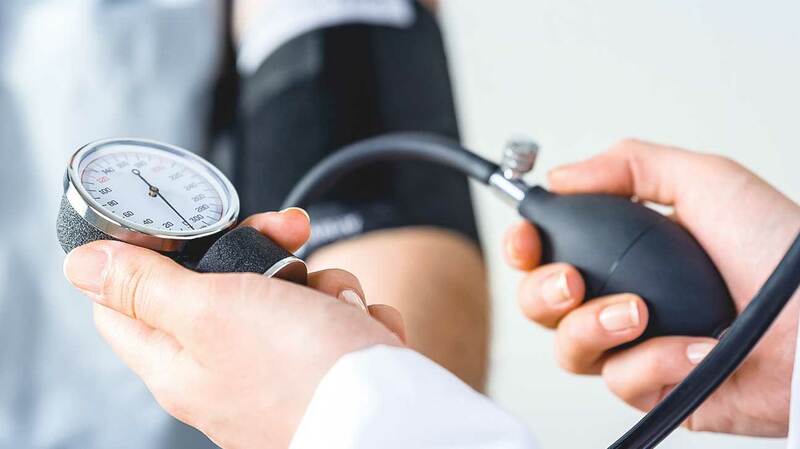 Why should you even read an article about blood pressure when your BP is normal? It makes no sense, right? But you have to understand that high blood pressure (hypertension) is a silent killer. So, maintaining a healthy blood pressure is a vital task for everyone. It isn’t for folks with elevated levels of blood pressure. Both the young and the old have a significant role to play. Food is one of our biggest challenges when it comes to managing blood pressure. Whatever goes into our system can have a massive impact on our blood pressure levels. According to the Centers for Disease Control and Prevention, over 75 million Americans battles with HBP issue annually. But you can still be among the healthy and lucky ones with normal blood pressure. Just do your possible best to avoid these drinks and foods. Everyone is familiar with this name whether we know how to cook or not. But many forget that salt is one of the culprits of high blood pressure. The recommended amount of salt for adults is 2300 mg daily. Exceed this quantity, and your chances of having high blood pressure would increase. According to a report from the FDA, a large portion of salt Americans take comes from packaged foods, about 75 percent. So, it is not from home-cooked foods that salt intake increases or the ones added from the salt shaker. It is from packaged or processed foods. Many people eat these packaged foods without paying attention to salt content. And gradually, their blood pressure starts increasing. How does excess salt increase blood pressure? When issues of blood pressure pop up, the kidney is one vital organ that is hardly ever mentioned. But, this bean-shaped organ called the kidney; do us the favor of getting rid of toxins from our system. Just that excess salt throws the kidney off balance and makes it difficult for it to get rid of toxins. As a result, toxins will gradually start building up, and this could result in high blood pressure. How can one overcome excess salt intake? It is difficult but not impossible. The primary reason many people believe it is not possible is that they put their taste bud first. Even if a meal is salty, they can eat it. However, if you fall into this category, it is time to start making a drastic change. Here are tips to help you keep your salt intake in check. Check labels of packaged foods for the volume of salt added. Ensure you do it before you consume any canned or processed foods. Avoid processed foods or purchase those with “no salt” boldly written on the product label. Remove the salt shaker from your dining table. Cook your meals at home with a little salt. Alcohol can increase one’s blood pressure. It also has the power to make your blood pressure medication ineffective. But a small or moderate amount of alcohol is helpful. There are reports that it may lower one’s blood pressure significantly. Drinking too much alcohol can damage one’s heart and cause hypertension. So, the best decision is to abstain from it. But if you cannot refrain from it, then consume in moderation. Alcohol also contains a large number of calories which can cause obesity. Obesity, on the other hand, can lead to high blood pressure, and a host of other life-threatening diseases. Women should never have more than a drink daily. Men should also not exceed two drinks daily. Note: One drink equals 12 ounces and 5 ounces of beer and wine respectively. There are refined and natural sugars. But people tend to consume more of the refined sugar on a daily basis, and not yield to the warnings. These refined sugars come from sugar beets and sugar cane through various processes. And typically, they are found as sucrose and often used to sweeten cakes, cookies, cereals, and even coffee. Unrefined sugars, on the other hand, usually retain natural ingredients that sugars have, such as iron, magnesium, and calcium. Examples of these unprocessed sugars consist of the ones we get from honey, maple sugar, agave nectar, fruit, date sugar, and cane juice. These are healthier to consume, but note that too much of everything can be bad. However, if you want to sweeten your tea or coffee, go for unrefined sugars. So, how does excess sugar lead to blood pressure issues? Taking too much sugar (processed sugar) has been dramatically linked to issues of excess weight gain and obesity. And surprisingly, it can also cause high blood pressure. Most of the drinks we consume contain a large amount of refined sugar which can cause obesity in people of all age group. Meaning, children are not excluded. And as most of us already know, obesity can lead to high blood pressure. Understand that excess sugar is not sweet for your health. And the simplest way to avoid taking too much sugar is to dodge sugar-sweetened foods and drinks. But if you must have them, then follow this recommendation from the American Heart Association. Men should not exceed 36 grams or 9 tablespoons of sugar daily. Women should not exceed 24 grams or 6 tablespoons of sugar daily. Note: People should check their blood pressure as often as possible. It doesn’t take long to get the test done. You can also evaluate your numbers using this tool after the test to know your blood pressure status. Being in good health is one of the greatest gifts you can give or wish for yourself. But it is something you must work out on a daily basis. Simply put, the things you eat or do on a regular basis will impact your health. Foods also have a massive influence on blood pressure as you can see. The tips above can help you manage your blood pressure and avoid putting your health at risk. Read through and know the kinds of foods to avoid and what to consider when eating. Otega Clement Okperigho is a passionate writer who likes to research and provide detailed information on health issues. He believes in the ideology that health is wealth and that the right information can save lives. Clement enjoys sharing information about blood pressure issues. He also encourages everyone to be mindful of their blood pressure. You can read more of Clement’s write-ups here.